Sonja Davies worked tirelessly for women’s issues in the community. 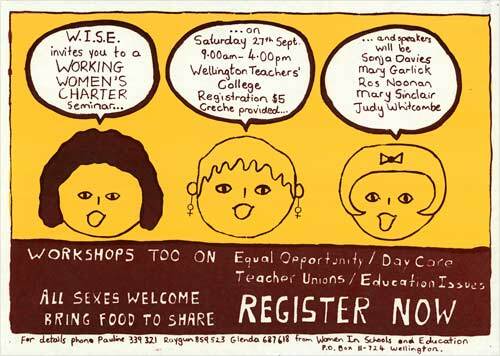 This poster announces that she will speak, along with a group of others, at a Working Women’s Charter seminar in Wellington in 1980. Poster reproduced courtesy of the Wellington Media Collective.